We had a great time at MegaCon and at the London Book Fair - and now we are back home, whee! Thank you all so much for coming out to see us!! TOMORROW I have two art events going on! Both are Saturday night. Firstly - here in Florida at Disney's Marketplace Co-Op's WonderGround Gallery at Downtown Disney - I will be doing an autographing session and meet & greet celebrating my Disney character artwork from 4pm-7pm - details about this Disney event are here . We have open edition glossy paper prints of her signed on the back by me for only $13.99 and $19.99 (8x10" or 12x16"), and also 11x14" Limited Edition Canvas prints that are hand embellished by me in acrylic paints, signed & numbered out of 25, for only $125.00. All are available at Strangeling.com here- simply use the fine art print options dropdown box to select size/type. 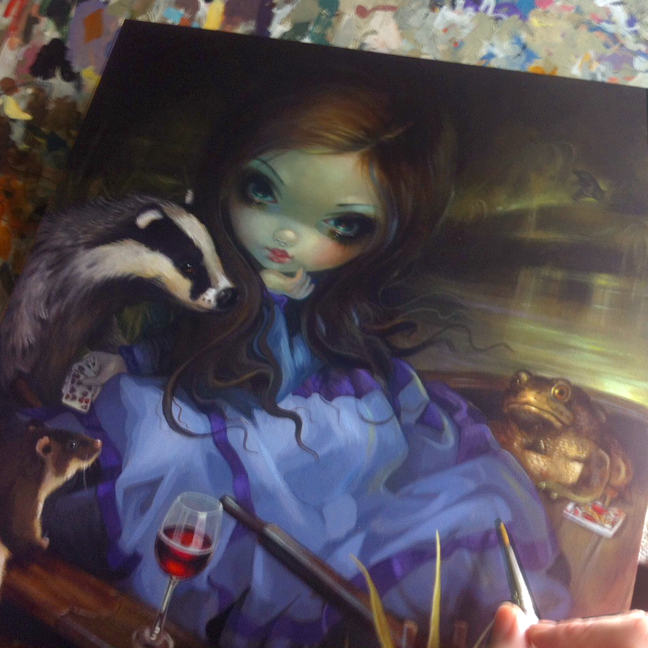 Tomorrow night from 6-10pm the Modern Eden Gallery Storybook show opens! I created a piece specifically for the event, my book choice was Kenneth Grahame's classic, "The Wind in the Willows." My original painting is 12x12" square on deep gallery cradled masonite, ready to hang, acrylic, priced at $3500. Prints will be up at Strangeling.com soon! 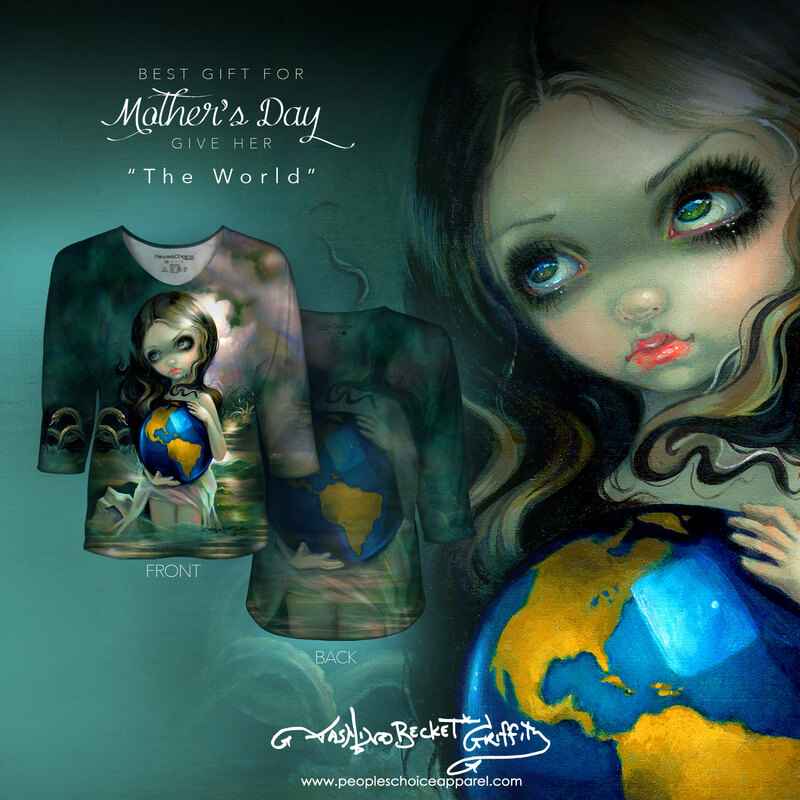 "The World" and many other new shirts have been added! 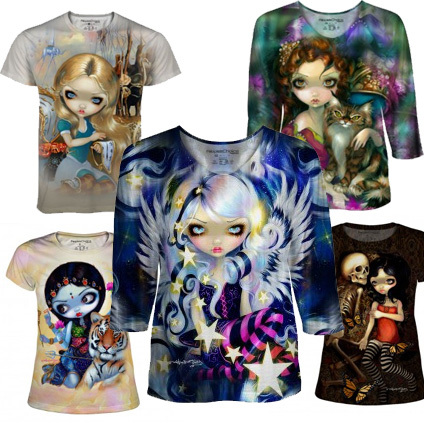 Many styles, cuts & images to choose from. Super soft, excellent "all over" printing, I have a dozen of these myself and they hold up very well in the wash, over & over again. People's Choice ships WORLDWIDE, and sizes are available from SM through 3X in Mens, Unisex, Womens, Junior's, etc. - check the individual shirt style for precise measurements in inches. 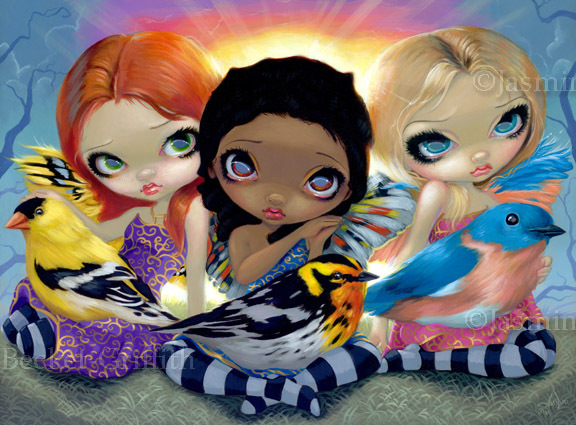 "Three Little Birds" is this week's SALE print -- worldwide - only $9.99 - $19.99 for glossy prints (signed on the back by me), $90 for the open edition 12x16 canvases (Lt. Ed. ones on this have already sold out). Inspired of course by the Bob Marley song, featuring three of my favourite birdies! 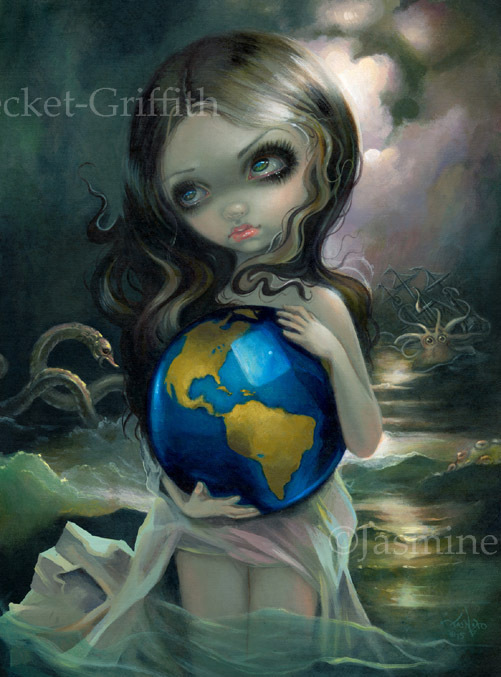 Every week we have a different sale print up at Strangeling.com - always a personal favourite of mine from years past. Click here to see Three Little Birds on SALE! Some auctions ending tonight, others ending soon! I've been working hard on a bunch of new ACEO cards and have them up for auctionhere! As always, bidding starts at just one penny each. Many of these you may have never seen before, as they have been created from Tiny Treasures I did for various overseas shows last year. 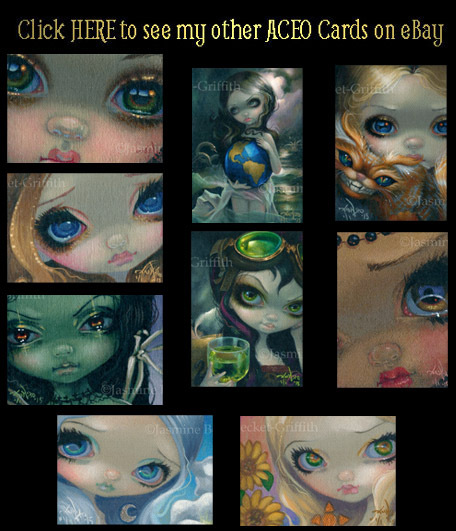 Each is 2.5x3.5" - a tiny hand embellished canvas print that is the perfect trading card size. Only ONE of each is ever made, so these are truly one of a kind. Click here to see them all!